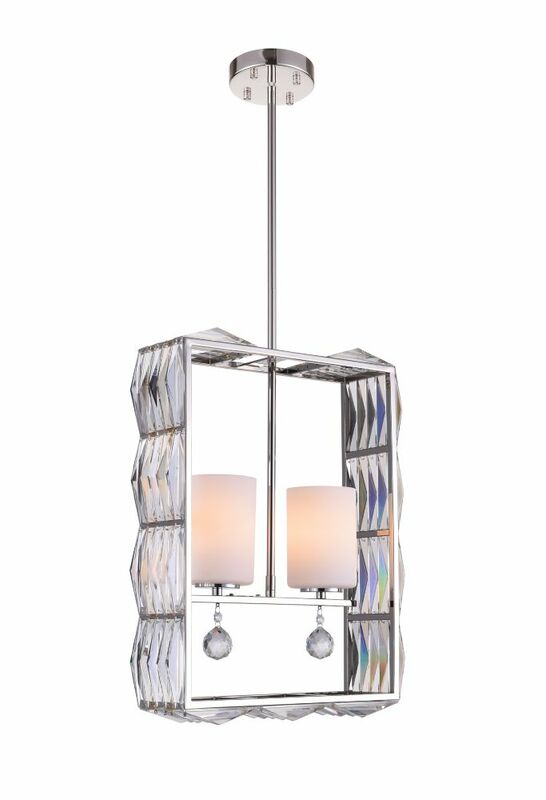 This breathtaking 2 Light Chandeleir with Bright Nickel Finish is a beautiful piece from our Squill Collection. With its sophisticated beauty and stunning details, it is sure to add the perfect touch to your dicor. Open bottom frame adds downward direction lighting and makes it easy to change bulbs. Frosted glass smoothes out reflections from lantern. Made with weather resistant finish and rust resistant metal. The Contemporary Beauty Collection is well known for quality, style and value; this contemporary bath vanity is no exception. Expertly pairing a charming satin nickel finish and energy saving fluorescent bulbs, this fixture is both functional and picturesque. This well-rounded bath vanity is sure to satisfy your indoor lighting needs. Squill 16-inch 2 Light Chandeleir with Bright Nickel Finish This breathtaking 2 Light Chandeleir with Bright Nickel Finish is a beautiful piece from our Squill Collection. With its sophisticated beauty and stunning details, it is sure to add the perfect touch to your dicor.